Measuring 20"L x 15"W x 4"H, this two-tone jute canvas shopping tote is a great bag to bring to the beach, grocery shopping or to bring your daily accessories to and from the office. This 12 oz. canvas with jute tote features three open front pockets, jute material on the bottom and top and a reinforced self-fabric shoulder/carrying strap. 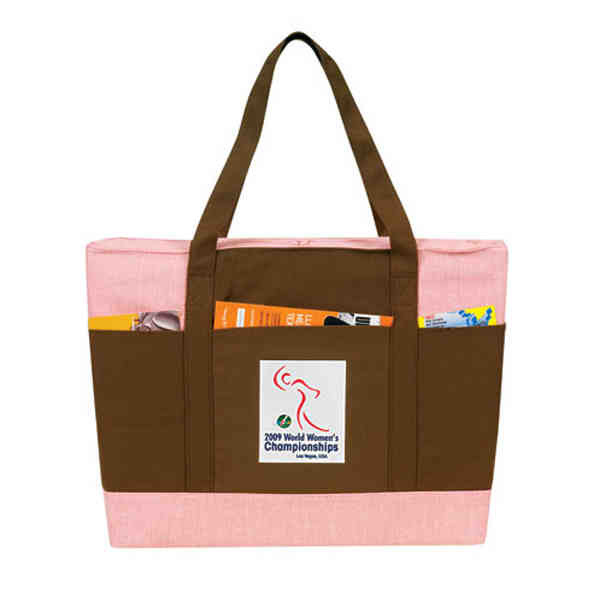 Customize this environmentally friendly bag with your company name and logo to win over your customers at upcoming events! Size: 20 " x 15 " x 4 "